A project by Danish artist, Lise Autogena, in collaboration with Joshua Portway and composer Orlando Gough. 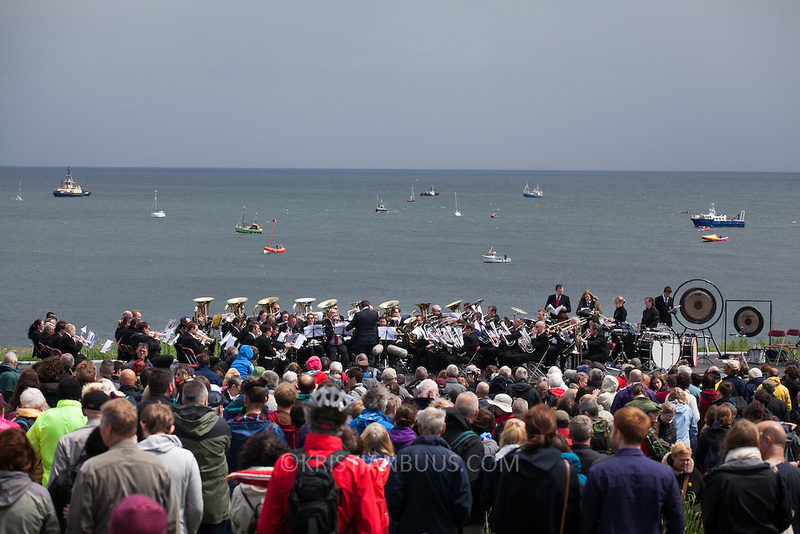 Ships horns from an armada of vessels off-shore, seventy five brass players on-shore and the Souter Lighthouse Foghorn performed a Foghorn Requiem, an ambitious musical performance to mark the disappearance of the sound of the foghorn from the UK's coastal landscape. Conducted and controlled from a distance, ships at sea sounded their horns to a musical score, that will took into account landscape and the physical distance of sound. The performance took place by Souter Light House by South Shields, UK with thousands of spectators and more than 50 ships off-shore.